How did you get into flying? It was a childhood dream. My grandfather was a sports pilot, he told me a lot of great stories, and he was a friend of Tibor Onczay who flew as a military pilot in World War II. Growing up I listened with great interest as the two old fliers told their stories. Once they even mentioned in the radio that Onczay was awarded a medal. These experiences made me fall in love with this calling and start down the road to become a fighter pilot. How was your journey to the cockpit of the Gripen? I was born in a small Borsod county village where I never had the opportunity to fly but I knew I wanted to do something with flight. So I selected the airplane mechanic faculty at the Kossuth Lajos Technical School in Budapest. This was a rather difficult faculty, which at the time was considered a good foundation for college. During my high-school years, once a week we went to MALÉV for field exercise. Looking back I think airplane repairs would have been a better choice than anything else. At the end of my third year I had to choose a profession. It was then that the newly restarted Hungarian pilot training was advertised, so I signed up. We were the first Hungarian fighter pilot class in a long time. 2000 applied and only 20 were accepted. Most of the applicants dropped out during the medical examinations, sight- and spine tests. The entrance exam subjects were mathematics, physics, English and physical education. The high-school provided good foundations in math and physics, resulting in my successful entrance exam. 10 of the 20 applicants finished school and currently 4 of us are Gripen pilots. I started my graduate studies at the Szolnok Aircraft Technical College. This is where I flew for the first time, in a Jak-52; according to the curriculum, the first semester was theory, and the second semester was a plane type course, followed by my first flight in a Jak-52. 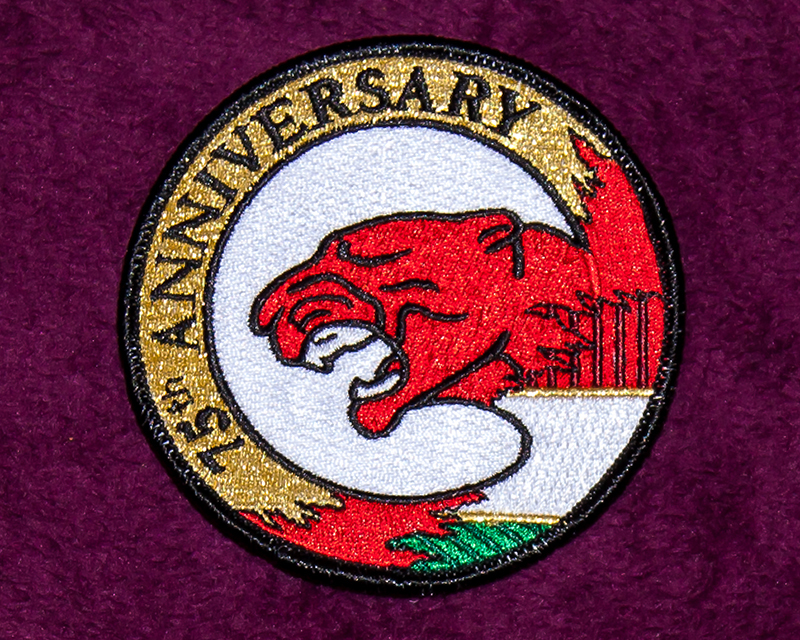 This was followed by jet(-propelled) flight in an L-39 Albatros in the next 2 years, first as a member of the Szárnyas Csikó (Winged Colt) squadron, then as a member of the training squadron. According to the curriculum, in our final year we should have flown on MIG-21’s and MIG-23’s, the airplanes we were going to fly after graduation. In reality the theory part of the state examination was on a MIG-21, while the routine part – including cruising, aerobatic flight and flight under difficult conditions – was on the Jak-52 and the Albatros. I graduated in 1997 as a distinguished student with a 4.57 average ( in Hungary the highest rank in the schools is the 5) . The President himself congratulated us, distinguished students, in the Parliament. This was a great experience and success for me and my parents as well. I should have started as crew in Pápa on a MIG-21. Considering my limited number of hours on a MIG-21 and flight safety aspects, my former commander assigned me to an L-39 Albatros. So while I was crew in Pápa, I was transferred to fly in Kecskemét. After a year I began to enjoy the town and the garrison, so I asked for a transfer to Kecskemét in 1998. After my transfer, I continued to fly the L-39 Albatros, and in 2002 I participated in an inter-government contract project, which allowed me to fly with the White Albatross aerobatic team in Kassa. Here we flew 60 hours in 2 months with the White Albatross, which could be considered an intensive preparation for the Canadian NFTC training, a topic that has already come up. I started the NFTC training in Canada in 2003, which took me about a year and 2 months, because I only took part in the Phase 3 and Phase 4 courses. So I did not fly on the Harvard, only basic and tactical exercise on the Hawk. Then back home in 2005 and I started retraining for the MIG-29, and as a result by the spring I was flying by myself. I flew almost 30 hours with the big iron. In the meantime, considering the Gripen acquisitions, I was assigned to participate in the program, so I stopped flying the MIG-29 and was transferred back to the Albatros until 2007. 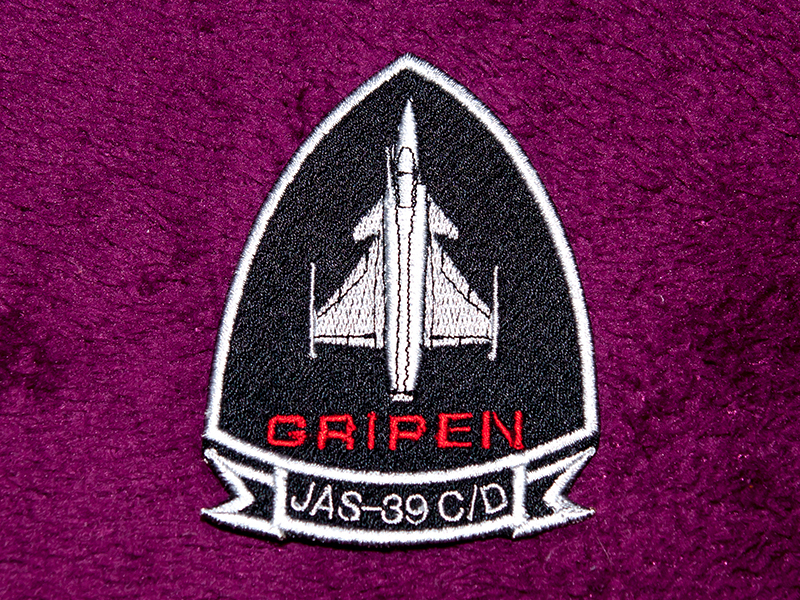 I started retraining for the Gripen in 2007 as a member of Batch 3 – the third group sent for retraining – in Sweden. I spent 4 and a half months in Sweden, flying JAS 39A’s and B’s as part of the training. After coming back home, from January 2008, I have flown 500 flight hours with short breaks on JAS 39C’s and D’s. 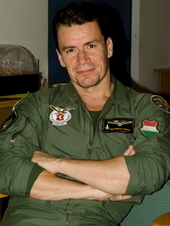 This year my superiors have selected me to represent the Hungarian colors as an display pilot. As background, I would like to mention that in 2005 I flew solo in the specially painted “Zümi” L-39 as part of the three-plane Albatros formation, and also appeared in the Kecskemét Air Show. Whose idea was the demo program – yours or team effort? This year’s program has already been approved when I was selected, so due to the brief preparation period, the program was put together with another display pilot and former display pilots. Only slight modifications were made as per my request. If they trust us in the coming years, another display pilot partner, Viktor Langó, and I would like to create an even better program, mixing what we have seen in other displays with our own ideas. Why were you chosen as a display pilot? It is well-known that I enjoy aerobatic-flying and low-altitude flying. I am not saying that I am the best, but when you enjoy something you can do it whole-heartedly. When I had time, I practiced these exercises in both the simulator and in real flight as well. I think the decision makers considered these things when they selected me. How many hours did you prepare for the displays? According to the ÖHP (Joint Force Command) accepted preparation plan, the display exercise must be performed 10 times. I flew the display program in the simulator a few times, then in the JAS39D two-seater under the supervision of former display pilots. My instructor was Major Attila Ványik. We first performed the exercise at 1000 feet, then at 500 feet, and then I could practice in the single-seater, again starting at 1000 feet, then at 500 feet. I can speak for all my fellow pilots when I say we have reached a professional level at which flying a display program does not present any flight technical or safety problems for any of us. In this case the display is more about how spectacularly you can perform the program. The question is not whether you can fly upside-down at 500 feet, but how beautifully you perform the roll, the figures, and whether you topple or not. These are the things to consider during practice. The especially nice thing about this program is that Major Attila Ványik and Lieutenant-colonel Tamás Fekete, former display pilots, have put together the program so that it is not only about 9g’s, but it also includes parts where power can be gathered for the high-load elements. Which is your favorite maneuver in the current demonstration program? There are several, but my favorite ones are probably the tight turn with great overload, the low speed high alpha turn, and a roll on 50 feet after a low pass. What is the most spectacular Gripen specific maneuver? The tight rounding radius thanks to the canard, and the use of the “smoke-winders” and flares made the Gripen exhibition especially spectacular at the Kecskemét Air Show. What was the most hair-raising situation you have ever been in as a pilot? I was in my junior year at college, flying with an instructor in an L-39 Albatros, getting ready to land. We were already very low and due to the failure of a membrane signaling device, the extended flaps raised at low altitude. I could not react quickly enough at the time, but fortunately my instructor, Lt. Col. Pál Tibol immediately increased/put on the throttle. It was probably not at 1 meter above ground, but it was extremely low. The other not so hair-raising situation happened while practicing the “demonstration” at the Kecskemét Air Show. I crashed into a bird, but thankfully it was a small bird and the plane caught it at a “good place” and it did not get into the engine. I immediately checked the engine parameters, finished the display without problems and landed. Are there plans or any information on where we will see the Hungarian Gripen demo next year? Currently there is no exact information so I would not start guessing, but I hope we will be able to utilize this existing talent of our air force in the future as well. What message can you send to the spotters? We are always ready to show what we and the technology protecting the country’s airspace is capable of. Seeing others appreciate our performance makes us happy.